Funny how old things pop into one’s head! As I searched for the three mass graves of the victims of RMS Lusitania at the Old Cemetery, Queenstown, now Cobh, my hair stood on end and my body tingled. I quickly realised I had just walked over the first mass grave site…a moment I shall never forget. International Space Station astronaut Terry Virts (@AstroTerry) tweeted this image of a Vulcan hand salute from orbit as a tribute to actor Leonard Nimoy, who died on Friday, Feb. 27, 2015. Nimoy played science officer Mr. Spock in the Star Trek series that served as an inspiration to generations of scientists, engineers and sci-fi fans around the world. Cape Cod and Boston, Massachusetts, Nimoy’s home town, are visible through the station window. As always during Stampex Royal Mail are issuing several sets of new stamps. Today sees the launch of a commemorative issue on the Merchant Navy and commemorative sheets marking the 150thanniversary of the birth of Bertram Mackennal. 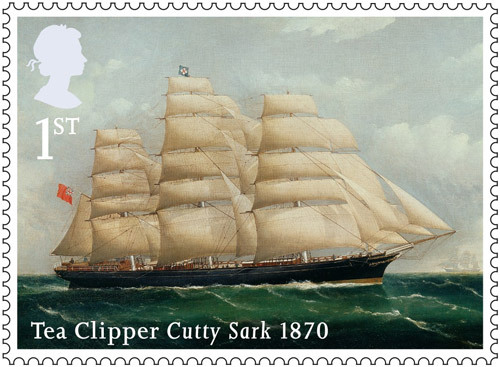 The Merchant Navy stamps salute the heritage of the UK’s trading fleet of ships, run by various companies. These export and import goods from around the world as well as carrying passengers, and historically have been intertwined with the fortunes of the nation. The accompanying miniature sheet honours the contribution of the Merchant Navy in times of war, when its ships assisted in the war effort. 2013 will mark the 70th anniversary of the turning point of what is called the Battle of the Atlantic, after which losses reduced considerably. This silent footage is spliced together from three films in the SA Maritime Museum Collection capturing life on board a windjammer. Footage was shot by Alan Villiers on ‘Parma’ in 1933, and on ‘Passat’ by Thomas Wells in 1938 and 1939 and Jack Wadrop in 1948. The Choir of Claire College, Cambridge. at Douai Abbey, Woolhampton, Berkshire.